Lamborghini Urus to have its own SUV racing series! 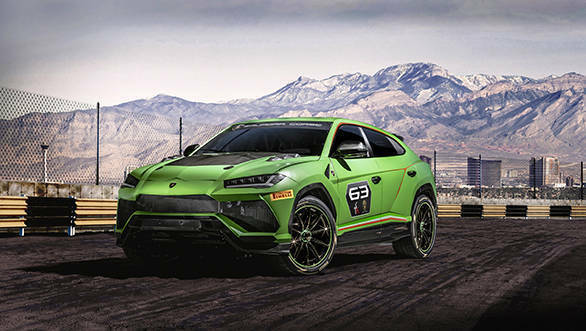 Lamborghini had earlier floated the idea of racing its new Urus SUV, and it has finally put thought to this idea by announcing a racing series for the SUV in 2020. 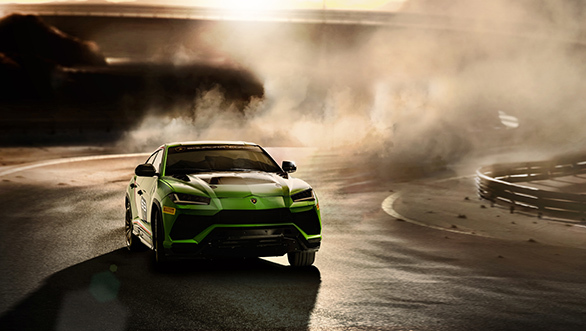 The series will also debut racing vehicle based on this Lamborghini Urus ST-X Concept. The Urus ST-X is different from the roadgoing SUV in that it meets FIA racing safety regulations. For this, it features additions such as a roll cage, fire-suppression, and a racing fuel tank. Outside, the Urus ST-X Concept also features larger air intakes for better airflow to the twin-turbo V8 engine, a rear wing, as well as a 25 per cent weight reduction over the road car. Lamborghini plans a single-brand championship that combines race circuit and off-road track for the Urus ST-X. This makes sense as it will call on not only the SUV's performance on the road but also off it. And hey, if you are an existing Lamborghini customer, you just might end up racing one. The exotic car maker will take its SUV racing series to various FIA-approved tracks in Europe and the Middle East where customers can avail a package for a full race weekend, complete with the car and technical support. But don't hold your horses on this one, Lamborghini says the ST-X-based series will only kick off in 2020.